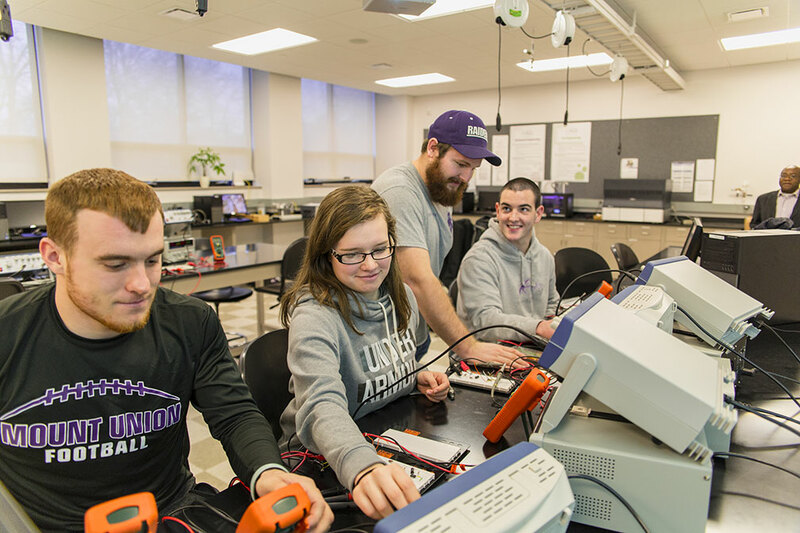 The Department of Engineering at the University of Mount Union provides students with a well-rounded education through relevant career preparation and classroom foundations that will prepare graduates for successful careers in the fields of engineering. Through extensive hands-on learning, an international experience, and innovative research opportunities, students will develop the critical thinking skills to solve complex problems and improve our functioning society by understanding how things work in the world. Engineering students benefit from the small class sizes and personal attention from the engineering faculty. To learn more about the high-demand field of engineering, explore Mount Union's engineering programs. Careers in mechanical engineering are in demand across industries. Learn how Mount Union's mechanical engineering major will set your future in motion. Careers in electrical engineering are in demand across industries. 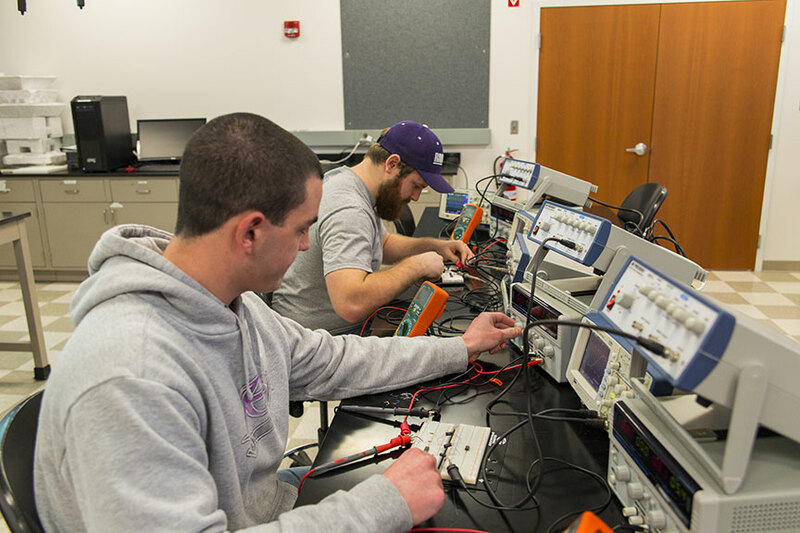 Learn how Mount Union's electrical engineering major will set your future in motion. The Engineering Program at the University of Mount Union distinguishes itself by supplementing its curriculum with the four pillars of exceptional engineering education. These essential areas help develop real-world ready engineers. Students work alongside business majors in project development teams to design products going to market. The Bachelor of Science in Civil Engineering degree at the University of Mount Union is accredited by the Engineering Accreditation Commission of ABET. *Fall enrollment of students who declared CE as their major. This number does not include freshmen who have not yet declared CE as their major. 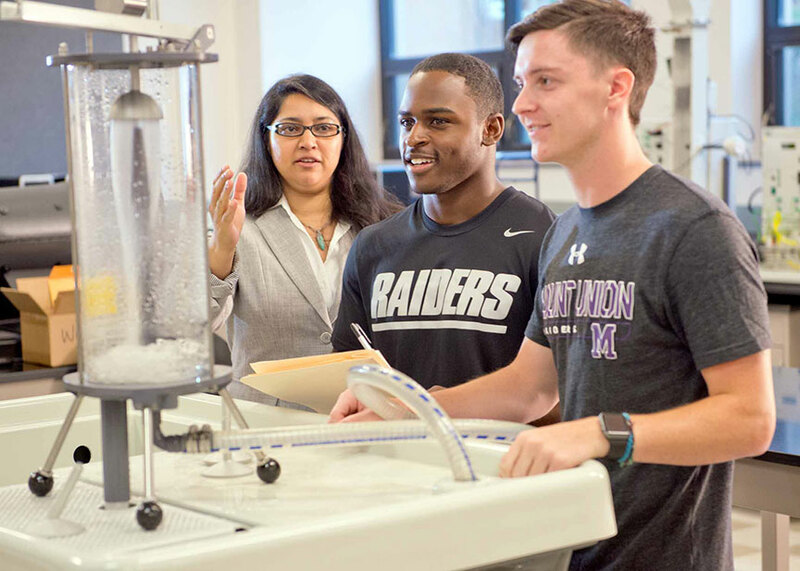 The Bachelor of Science in Mechanical Engineering degree at the University of Mount Union is accredited by the Engineering Accreditation Commission of ABET. *Fall enrollment of students who declared ME as their major. This number does not include freshmen who have not yet declared ME as their major. Mount Union has developed its engineering programs following the guidelines of ABET. These programs will seek accreditation by following the timeline outlined by ABET when the first students graduate. Expected accreditation will allow graduates to assert graduation from an ABET accredited program.